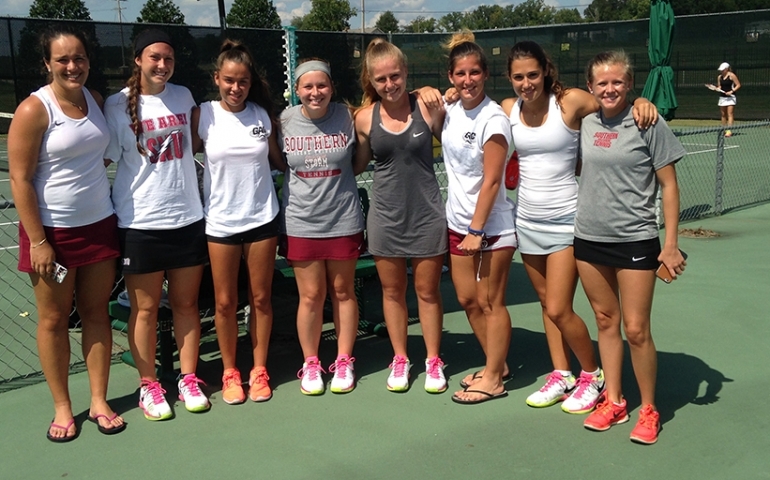 Tennis season is starting at SNU and if anyone is like me, you know nothing about tennis (or sports in general). This is why I did some investigating. Why should you go to a tennis match? Wow. What a great question. Here are several reasons. How to play: This is simple. The ball is hit over the net. Afterwards, without letting the ball hit the ground, or only hitting the ground once, hit the ball back over the net. Done. Scoring: Wow. Buckle up. This is the difficult part. From my understanding, you must win four points to win a game. Next, you must win 6 games to win a set. You must win by 2 sets more than your opponent to win the match. If you want to know the full terminology, it’s a bit confusing for the non-sports person. No point is “Love,” 1 point is “15,” 2 points is “30,” and 3 points is “40.” If only one player is at 40 and they score the next point, they win and that’s “Game.” Wow. There’s more. If both players are at 40, then this is called a “deuce.” (insert bathroom joke here.) A player must win by two to take the game at deuce. Étiquette: If you are going to watch a tennis game, you need to know the culture that you will be surrounded by. You must be silent during the play, but once the point is made (you’ll know because the player will stop to pick up the tennis ball) you may clap, scream loud, etc. Now that we both understand the game a little better, it’s time to test our knowledge at a real tennis match. The first game is at UCO on Feb. 10 at 2:30 p.m.. The next two games are also close to SNU at the OKC Tennis Center on Feb. 14 at 3:00 p.m. and Feb. 28 at 2:00 p.m.. If you have some free time, get a group of friends together to support the team! It’ll be a super fun time. Take a look at the full tennis schedule to make sure you don’t miss a game!